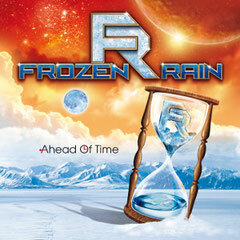 Belgian Melodic Rock band FROZEN RAIN releases their 2nd album "Ahead Of Time" from the Avenue Of Allies Music on March 9th, 2012. The band now features Carsten Schulz (Evidence One) on vocals. It has been 4 years after the self titled debut album and marks the second chapter in the history of "Frozen Rain". The album was mixed by by Alessandro Del Vecchio who's known from bands like "Eden's Curse", "Edge Of Forever" and many more. This album is available on amazon.com.